Jack St. Clair Kilby was born on 8 November, 1923, in Jefferson City, Missouri. In his early childhood he moved to Salina, and later to Great Bend, Kansas, where he spent most of his childhood. Jack grew up among the industrious descendents of the western settlers of the American Great Plains. His father was an electric engineer, who ran a small electric company—Kansas Power Company, that had customers scattered across the rural western part of Kansas. Jack's interest in electrical engineering was kindled in the winter of 1937, when his father used a ham radio to maintain contact with his power stations during a blizzard. Fascinated by radio, Kilby studied hard, soon gained his Federal Communications Commission license, and built his own radio using salvaged parts. Throughout high school Kilby wanted to be an electrical engineer. After high school however, Kilby failed his entrance to the Massachusetts Institute of Technology. Ultimately, he enrolled at his parents' alma mater, the University of Illinois. Four months after his first semester began, the American naval base at Pearl Harbor was attacked. Kilby enlisted in the U.S. Army Signal Corps and later served with the Office of Strategic Services. At the time, small groups of Allied soldiers were being airlifted into remote places to build resistance units. These soldiers were given backpack radios to communicate with their commanders. Although they represented the state of the art in radio technology, the radios were heavy and performed erratically; they had not been designed for jungle combat. In his attempt to remedy the situation, Kilby traveled to Calcutta for a truckload of black-market radio parts, and soon his unit was building smaller, more reliable radios for the troops. From this experience Kilby learned that if a machine does not quite meet certain needs, it can be rebuilt to do so. After demobilization, Kilby returned to the University of Illinois, where he studied electrical engineering, and received the B.S. degree in Electrical Engineering in 1947 and then a M.S. degree from the University of Wisconsin in 1950. After receiving his master degree, he started as an employee of Centralab Division of Globe Union Inc., that made parts for radios, televisions and hearing aids, from 1947 to 1958, where he was engaged in the design and development of semiconductor devices with ceramic- based, silk-screened circuits. In 1952 Bell Laboratories announced that it would sponsor seminars on its new transistors and issue production licenses. Eager to get into the transistor business, Centralab paid the fee and sent Kilby to the seminar. He had already been immersed in the field for several years, and his mind was soon occupied by the possibilities of a device that would eliminate vacuum tubes, which were large, hot, and consumed a great deal of power. He quickly learned, however, that transistorized circuits had limitations that prevented engineers from actually being able to build the circuits they designed. Although transistors were certainly an improvement over vacuum tubes, truly miniaturized circuits still could not be built because there were too many electrical connections too close together to be made by human workers. Kilby was determined to overcome this challenge, but to do so he needed more resources than were available to him at Centralab. In 1958, together with his wife, Kilby moved to Dallas, Texas, when he took job with Texas Instruments. TI was the only company that agreed to let him work on electronic component miniaturization more or less full time, and it turned out to be a great fit. In June 1958 Kilby started as engineer and immediately proved his extraordinary constructor talent, proposing the first integrated circuit (see the article for IC). After proving that integrated circuits were possible, he headed teams that built the first military systems and the first computer incorporating integrated circuits. He also worked on teams that invented the first handheld calculator and the first thermal printer, which was used in portable data terminals. In 1970 he took a leave of absence from TI to do some independent work. While on leave, one of the things he worked on was how to apply silicon technology to help generate electrical power from sunlight. From 1978 to 1984, he spent much of his time as a Distinguished Professor of Electrical Engineering at Texas A&M University. He officially retired from TI in the 1980s, but he have maintained a significant involvement for some more years. Kilby holds more than fifty U.S. patents, besides the patents covering the monolithic integrated circuit. He has also led in the development of military, industrial, and commercial applications for his inventions, designing both the first military system and the first computer incorporating integrated circuits. Kilby had been honored to receive awards such as the National Medal of Science, was inducted into the National Inventors Hall of Fame, the Franklin Institute's Stuart Ballentine Medal and many others. 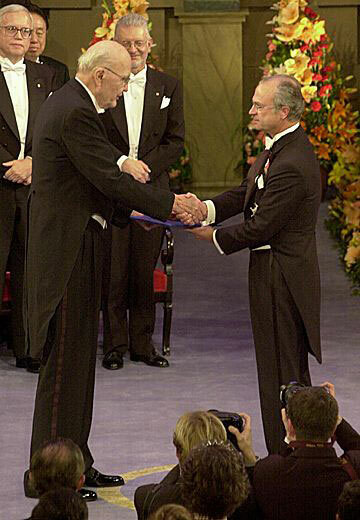 Receiving the Nobel Prize in Physics in 2000 was a completely unexpected, yet very pleasant surprise for Kilby. Kilby was a very gently and noble person, something rather rare in the community of inventors. He always mentioned with good words his co-inventor Robert Noyce, and after receiving the Nobel Prize, he mentioned that if Noyce were still living, he have no doubt they would have shared this prize. Kilby's hobbies were reading, woodworking and photography. He had two daughters and five granddaughters. 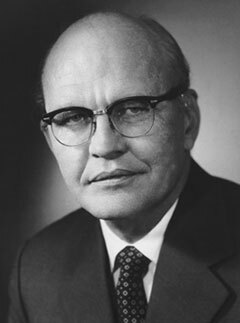 Jack Kilby died on June 20, 2005, when he was 81, in Dallas, Texas, following a brief battle with cancer.